With Android Wear being rebranded Wear OS today, Google has taken the opportunity to update the Android Wear app for Android. The app update, however, is not just a rebranding exercise. The company took the opportunity to revamp the user experience of the app and make it far more friendly than previous iterations. The new app build is version 2.10.0.188560295 for those keeping score at home and has been released to the Play Store. It may take a few days to get to everyone. Once it does, you will find that settings for your watch are not front-and-center on the home page of the app. 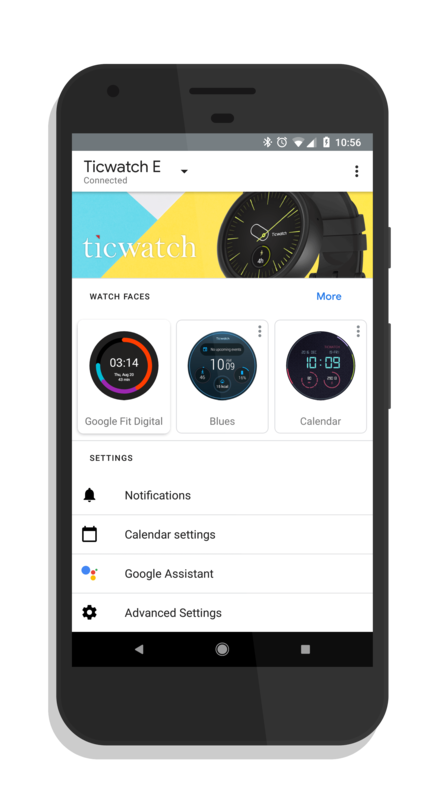 From the home page in the Wear OS app, you can get to your notification settings, calendar settings, Google Assistant settings and more advanced settings like gestures all from the home page. No more having to dive into the menu and poke around to try to find a setting. This addresses my personal single biggest complaint about the old Android Wear app. All of the settings were buried deep in the app so finding them was painful at best and frustrating at worst. This new look makes life far easier and far less frustrating. Functionally, you won’t find anything new. It is the same app with a new name and a new logo but with a much better user experience. Look for the update to hit your phone over the course of the next few days.